Napa, California is a vibrant and modern town with extraordinary views and many activities to keep its residents busy. Napa takes pride in the quality of its community and the wonderful people who live there. Hired Hands Homecare takes pride in providing seniors looking to age safely and independently in the comfort of home with exceptional in-home care services in the Napa Valley area, including American Canyon, Napa, St. Helena, Calistoga and Solano County. Our compassionate caregivers enjoy helping our clients enjoy the Napa community. 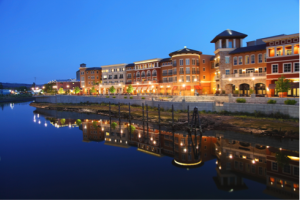 Many clients enjoy a stroll along the river or visiting the downtown stores and marketplace. Our Napa Valley area home care services are available 24 hours a day, 7 days a week: we offer hourly, overnight and 24 hour live-in care. With Hired Hands Homecare, you can be assured that each of our professional caregivers is insured and bonded, and has gone through rigorous screening, orientation and training. Our professional and compassionate caregivers take great pleasure in enriching the lives of our clients, helping them to enjoy the Napa Valley community in which they live. Hired Hands Homecare is dedicated to providing only the highest quality home care experience, coupled with outstanding customer service. Why Choose Hired Hands’ Napa Home Care Services? We know that choosing a Napa Valley area home care agency can be difficult. You want to make sure you are making the right decision for your loved one. Hired Hands Homecare is a family owned and operated company with over 30 years’ experience in home care. Hired Hands Homecare of the Napa Valley area, including American Canyon, Napa, St. Helena, Calistoga and Solano County provides security and peace of mind by delivering high quality caregiving services to anyone who would find their lives and home more manageable with an extra pair of hands, or when living alone is no longer the best option for safety, comfort or maintaining independence.